One legal battle and a bunch of mooted names later, Microsoft has flipped the switch on its revamped OneDrive cloud storage service. Not wanting to miss an opportunity, the data vault formerly known as SkyDrive has returned with several new features to bring it in line with competing offerings such as Dropbox and Google Drive. These include a new Android camera app with auto-upload that beams photos to the cloud, and real-time co-authoring lets groups edit shared documents at the same time. Additionally, Microsoft claims that videos are now as easy to "store, view and share" as photos thanks to the MPEG-DASH transcoding codec that automatically adapts video quality to match the broadband connection streaming it. To usher people toward OneDrive, Microsoft has introduced a Dropbox-style reward system that bolts on data for completing tasks. Using the camera backup feature, for example, will snag you an extra 3GB of free storage, while inviting others to the service adds on 500MB at a time until you hit a 5GB limit. New and existing users get 7GB to start with and the option to bolster data reserves by purchasing 50GB, 100GB and 200GB increments. 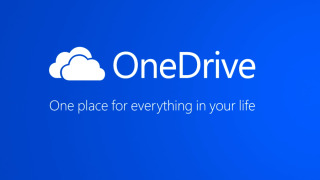 Gabby Hegerty, European Product Marketing Director of Consumer Apps and Services at Microsoft, told TRPro that OneDrive launched to address the difficulties people face in storing saved content in a single location. She said: "People find themselves using multiple cloud storage services as they're either limited or are complicated and require a lot of time to move stuff around, which offered us an opportunity. "We're fully aware that people have a myriad of devices and wanted to make OneDrive as simple as possible with them. It's the only free storage service that allows you to have all of your videos, documents and photos in one place to be accessed from any device that you use - whether that's Microsoft, Windows, iOS or Android." OneDrive is out now on the web and for iOS, Android, Windows Phone and Windows 8.1.